You can view all transactions associated with a Portfolio Account by clicking on the 'income/expenditure' tab, or alternatively you can click on one of the Investment tabs to view only investment related transactions. 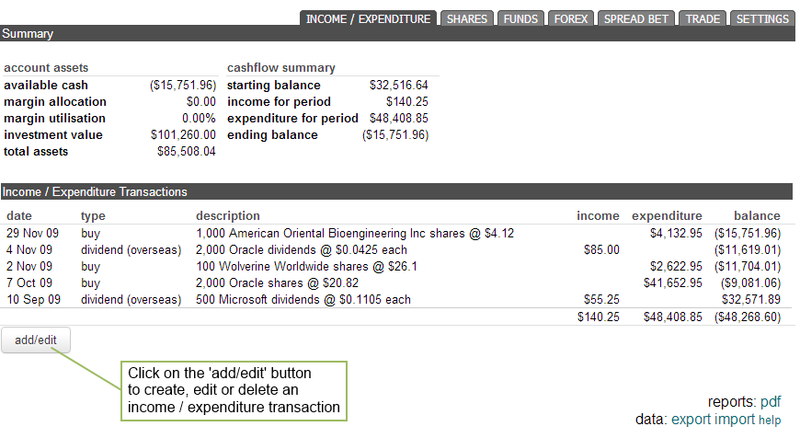 You can use the income/expenditure tab to input all income and expenditure transactions associated with that account. For example if you have a bank account, you would enter interest charges from the bank into the income/expenditure section. 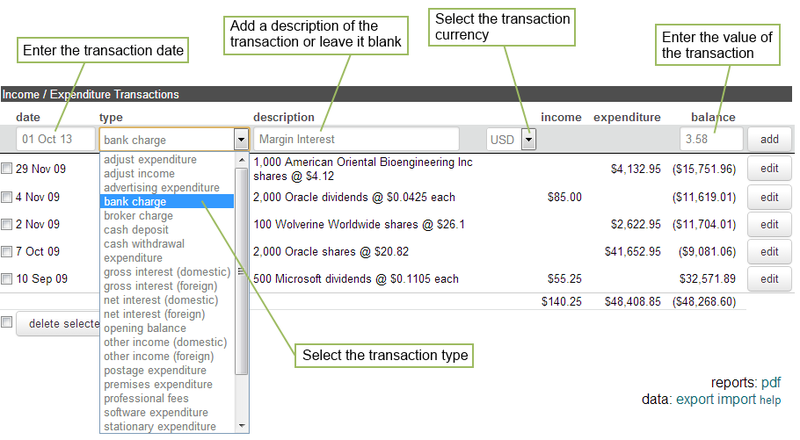 The following steps provide an example of how to input an income/expenditure transaction. To add, edit or delete transactions, click on the "add/edit" within the 'Income and Expenditure Transactions' section, and add your entry as illustrated in the following screen shot. In this example we will add an expenditure transaction of the type 'bank charge', which we will give the description 'Margin Interest', of the value £3.58. Click the "add" button when you have input the transaction details; this will update the account and when you have finished adding transactions, click the "done" button.